There is online the Plymouth Archive covering 1620 to 1691 with some items beyond those dates. 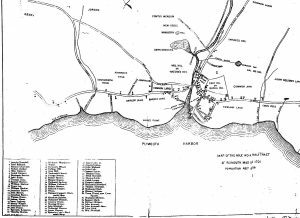 You’ll find court records, colony laws, 17th-century journals and memoirs, probate inventories, wills, town plans, maps and fort plans, all relating to the Plymouth Colony of Massachusetts. The site is laid out like a research room: Click the area you want to enter, such as Grave Art in New England, Probate, Biographies, Images of Plymouth History or Times of Their Lives. Overall about a dozen topics to select from. On the biographies, there are about 55 male names listed, who lived at different times in the Plymouth Colony (not necessarily those who came on the ship Mayflower). The images of Plymouth History are drawings and a few later photos of places taken over the decades. Scroll down that page to see the listing of illustration and click on each. For some real in-depth research into the Plymouth Colony during the 17th century and some into the 18th century, this Plymouth Archive is a must activity. Photos: March of Miles Standish with the Indians; Gov. 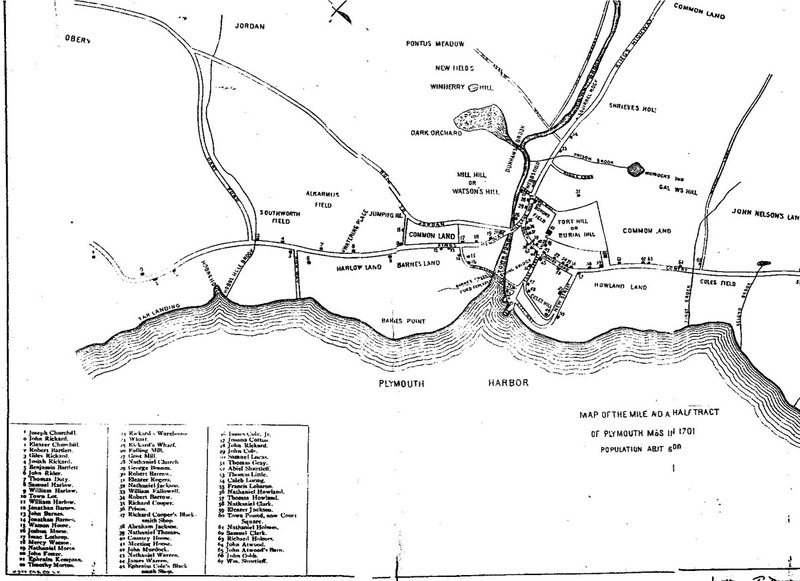 Edward Winslow portrait; and a map of Plymouth outlining places in 1701.